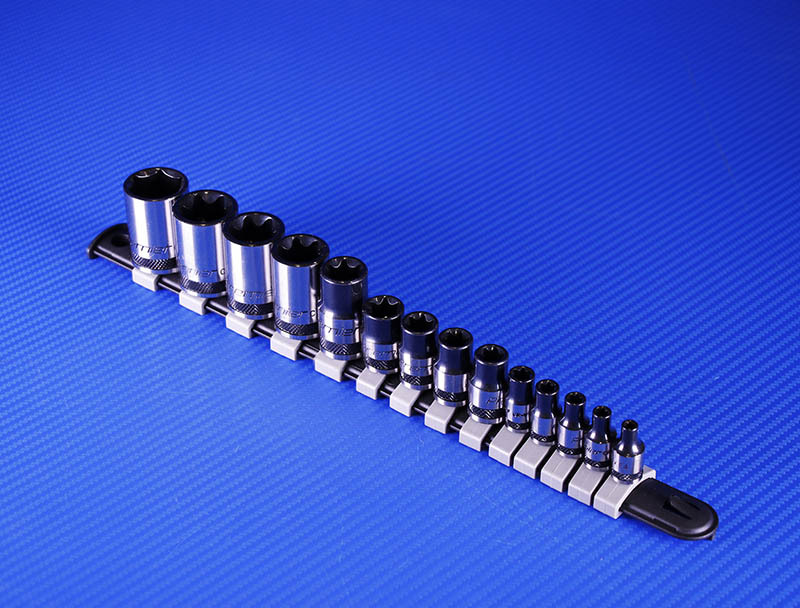 Sealey has launched a new 14 piece TRX-Star socket set. This latest addition to Sealey’s Premier Black Range of Hand Tools increases the comprehensive selection which is suitable for daily professional use. They feature a fully polished black chrome finish with machined and lacquered surfaces and also incorporate knurled rings for extra grip with oily fingers. The 14 piece set is supplied on a socket rail.